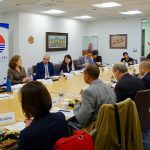 On January 22, Sasakawa USA held a special roundtable discussion with participants of the December 2017 Sasakawa USA Emerging Experts Delegation (SEED) trip to Japan who were selected in partnership with the Center for a New American Security (CNAS). The roundtable centered on “Cybersecurity, Innovation and Entrepreneurship: Challenges and Opportunities in Japan” and the discussion was led by two of the SEED delegates. In 2015, U.S. businesses suffered an estimated 150 successful hacks per week, with an average cleanup cost of $6.5m, writes Sasakawa USA’s William “Bud” Roth, who proposes the government can compensate for the lack of capacity by deputizing members of the private sector. 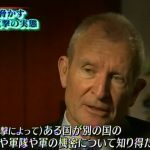 Enacting security measures against cyber attacks is growing increasingly important for everyone, from individuals and businesses to nations as a whole, Sasakawa USA Chairman and CEO Adm. Dennis Blair said in an interview with NHK’s International News Report (国際報道). 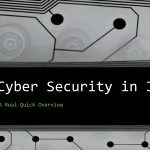 Japan has increasingly become concerned about cybersecurity in the face of increasing attacks against private and public sector targets. Cybersecurity challenges, some emanating from traditional adversaries in the region, represent a challenge to the welfare and safety of Japan’s citizens.